Stufful in game: 1,310 Who? Important notice! Pokemon Stufful is a fictional character of humans. Stufful (Japanese: ????? Nuikoguma) is a dual-type Normal/Fighting Pokémon introduced in Generation VII. It evolves into Bewear starting at level 27. Stufful is a Pokémon resembling a bear or panda cub. Its body and head are mostly pink, while its legs are brown. There is a single, pink paw pad on the bottom of each foot. There is a white, semicircle marking around its face similar to a headband, and it has a white muzzle with a triangular, black nose. Its white-tipped ears are situated on the sides of its head, and there is a small, white-tipped tuft of fur under each. There is a dark pink band around the center of its short, puffy tail. Under the tail is a small, white flap like the tag on a stuffed toy. 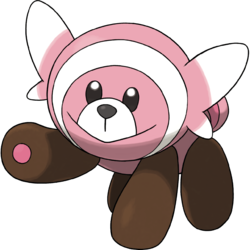 Despite its small size, Stufful has extraordinary strength and can knock out even well trained Pokémon if they are unprepared. The combination of its cute appearance, mannerisms, and fluffy fur make it very popular. 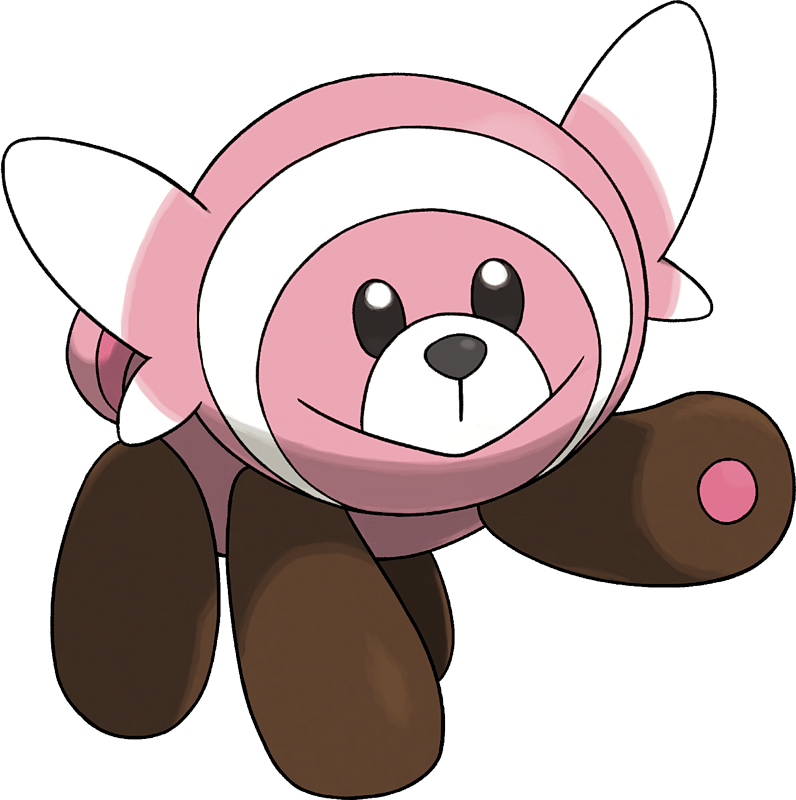 However, Stufful actually dislikes being touched and will flail its arms if it is embraced. Moves marked with a superscript game abbreviation can only be bred onto Stufful in that game. Stufful's black limbs, reddish fur, and ringed tail resemble a red panda. It also appears to be based on plush toys, such as teddy bears. Stufful may be derived from stuffed animal. It may also incorporate the word scuffle, for its aggressive nature and propensity to fight. Nuikoguma may be a combination of ????? nuigurumi (stuffed animal) and ?? koguma (bear cub).